Dear Father Kyrillos, +EVLOGITE! At times over the years, I have spiritual sons and daughters and others who REALLY want to know how to pray...and how to develop a good prayer-life. At such times, I always give them this teaching of St. Theophan the Recluse. I thought I'd send it on to you so that you could print it out and give it to anyone with the same desire...(if you don't already have it?). Being a soul’s breath, a prayer is most important in the life of a Christian. The presence of prayer in someone’s life means that the person is spiritually alive, without a prayer a person is dead. Standing in front of icons and bowing is not yet a prayer itself, those are just attributes of a prayer. The same can be said about reading a prayer, whether recited by memory it or read from a book, it would be not a prayer itself, but merely a means to start it. The main thing in praying is invocation of feelings of reverence to God: devotedness to the Father, gratitude, submission to the will of God, an aspiration to glorify Him and similar feelings. That is why while praying we should make those feelings permeate ourselves so that our hearts would not be dry. It is only when our hearts appeal to God that our reading prayers (evening or morning praying) becomes a true prayer, otherwise it is not yet a prayer. A prayer, which is an appeal of our heart to God, should be invoked and strengthened; a spirit of intercession should be brought up within us. The first way to do it is to pray through reading or listening to prayers written in prayer-books. Read the prayer-book or listen to it very attentively and you will certainly incite and strengthen your heart in its ascension to God, which means you would enter the prayerful spirit. In the prayers of holy fathers (printed in prayer books and other church books), a great prayer power is in motion. Who is diligently attending them will through the force of interaction enjoy that power, as the state of mind of a praying person comes closer to the essence of those prayers. In order to turn your intercessions into an effective way of nourishing a prayer, one must do it so that both your mind and heart would perceive the content of the prayers being read. Do not start a prayer without preparing yourself to it properly. Say prayers with feeling and attention, but not casually. After completing your prayer do not hasten to go back to your everyday cares. Preparation to praying: Before you start a prayer, no matter where it is taking place, stand or sit for a short time and try to sober your mind relieving it of all irrelevant work and cares. Then give thought to Who is the One you are turning to in prayer, and who you are in praying to Him; invoke the appropriate attitude of humility and reverential awe to God. That is the beginning of a prayer, and a good beginning is half the success. The praying itself: Having prepared yourself, stand in front of the icons, make a sign of cross, bow and begin the usual praying. Say the prayer without haste discerning every word and taking it close to your heart. In other word you should understand what you are reading and feel what you understood. Make signs of cross and bows while praying. This is the essence of reading prayers that are fruitful and God pleasing. For example, reading "Cleanse me from every impurity" you should feel how impure you are, desire the cleansing and hopefully ask the Lord for it. Saying "Thy will be done" commend your destiny to the Lord completely and wholeheartedly, with readiness to accept gladly whatever He sends you. While reading "And forgive us our debts as we forgive our debtors," your soul should forgive everyone who offended you. First, set a certain praying rule for yourself, it should not be too lengthy, so you could fulfill it without haste amongst all your daily routine. Third, if your volatile thought would get distracted by other things during your prayer, exert yourself to focus your attention keeping you mind concentrated on the subject of your prayer. Bring your mind back to it every time it wanders away. Read the prayer again and again until every word of the prayer is said with awareness and feeling. That will rule out your absent-mindedness during prayers. Fourth, if some word in the prayer touches your soul in a special way, do not proceed with the prayer, but focus on that word or phrase, nourishing your soul with the attention, feeling and thoughts evoked by the word, stick to that state of mind until it fades away. This is a sign of the prayerful spirit beginning to enter you. That state of mind and soul is the most reliable way to cherish and strengthen the prayerful spirit in a person. What to do after the prayer. After finishing your prayer do not hasten to take up your usual chores, but slow down and think at least for a little while about what you felt and to what it obliges you. Try to keep in your mind what impressed you most of all. The nature of the prayer itself is such that after a really good prayer one would not want to switch over to one’s usual things, as those who relished in something sweet do not want anything bitter. Enjoying the sweetness of the praying is in fact the goal of saying prayers, which brings up the prayerful spirit. Following those simple rules will soon bring results. Any prayerful invocation makes a good impact on the soul, if you stick to those rules, and it deepens the impact, and patience in praying will generate the prayerful mood. Those are the first steps in bringing up a prayerful spirit in oneself! It is for this purpose that the praying practice is set. Yet, it is not the aim in itself, but just the beginning of gaining mastery in prayer. We have to go on. After your mind and heart get accustomed to turn to God through prayer books, you should try to do it in your own way. Your aim is to make your soul capable of entering, so to say, a conversation with the Lord, lifting up your mind and heart and opening up in confession to Him, telling what there is in your soul and what it needs. We must teach our souls to do so. So what can we do to succeed in that mastering this knowledge? The first way is to pray by the book with awe, attention and deep emotion. For it is from the heart filled with devout feelings and prayers that your own prayer will begin to emanate and be addressed to God. But there are also other ways leading to the desired result in prayers. The first way to teach your soul to recourse frequently to God is meditation, or devout contemplation over divine ways and deeds: thinking about God’s mercy, justice, wisdom, creation and Providence, about granting us salvation through Christ, about the Grace and the Word of God, about sacred mysteries and Heavens. Those thoughts will unfailingly fill your soul with devout awe towards God, which directly turns the whole of the being of a man to God and is hence the direct way to teach your soul to be lifted up to God. Having finished your praying, especially in the morning, sit down and begin thinking about that or this God’s way or deed and trying to tune your soul respectively. Join Holy Saint Dimity of Rostov saying, "Visit me, sacred Godly thinking, and we will be absorbed in contemplating great acts of God," - this will touch your heart and your soul will start pouring itself in a prayer. With little effort you will be able to achieve a lot. You must just have a will and persistence to do it. For example, beginning to think of God’s Grace will show you that both your spiritual and bodily being is endowed with God’s mercies, and you will fall down before Him overwhelmed with gratitude. Start thinking about God’s omnipresence and you will understand that wherever you are, you are facing God and God is facing you. Then you will be filled with devout awe. Think of the Truth of God and you will get convinced that no bad deed goes without punishment. Then you will certainly decide to cleanse out all your sins through your hearty repentance and humbleness. Begin thinking of God’s all-knowing and you will understand that everything in you is open to God’s eye. Then you will definitely become strict to yourself in everything, so that you would not in any way offend God who sees everything. The second way to teach your soul to turn to God is based on devoting every deed, big or small, to the glory of God. For, if according to the commandment of the Apostle (1 Cor. 10:31), we make it a rule for ourselves to do everything, even eat and drink, to the glory of God, then no matter what we are doing we will certainly remember God, and not just remember, but fear to do something that could anger God. That would make us turn to God with fear and ask Him prayerfully to grant us help and enlightenment. And since we are always doing something, we will constantly turn to Him in prayer and thus almost always we will learn the skill of addressing God in prayer. This way we will learn in practice to turn to God more often during the day. The third way to teach our souls to pray is to appeal frequently to God from our hearts during the day saying short petitions concerning the needs of our souls and the things we are doing at the moment. When beginning to do something, say: "Bless me, O Lord!" Finishing the work, say: "Glory to Thee, O Lord!" 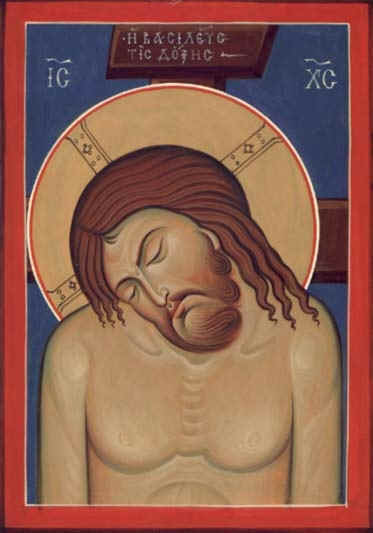 If a passion inflames you, fall down before God in your heart saying the following: "Save me, O Lord, I am perishing!" When overcome with disconcerting thoughts call out: "Lead me your way, O Lord," or "Do not let my feet go astray." If you are downcast by sin getting despondent, exclaim like the tax collector did: "O, God be merciful to me a sinner!" And that way you should act in all situations. Or you can just repeat: "Lord have mercy!," "Holy Lady Theotokos, save me!," "Angel of God, my holy guardian, protect me!" Or you can say some other similar words calling God’s name, you should do it often and try to make words come out of your heart as if they are squeezed out of it. When we do that, we will have often the lifting up of our hearts to God, frequent addressing God, frequent prayers and that would translate into the ability to converse intelligently with God. and to appeal to God more often with short invocations. After we thoroughly ponder over spiritual ideas in the morning, sacred thoughts tune us to remember God all day long. Those thoughts in their turn would direct all our actions, both external and internal, to the glory of God. Through this procedure our soul would become predisposed to send up its short prayerful invocations to God. Those three things - Godly thinking, doing everything to the glory of God and frequent appeals to Him — are the most effective ways to learn an intelligent and hearty prayer. Those who practice this will soon master the skill of ascending to God in their hearts. Thus, a soul will begin entering the sphere of the Sublime so inherent to it — through heart and thoughts in this life and actually will be admitted to appear before God in the other life. We must learn to pray. We should master the skill of prayer phrases and movements of feelings in order to not just read out a prayer that is due, but also to invoke and strengthen the prayerful spirit in our souls. First: never pray hastily, we should rather do it slowly as if singing. In old times when all the prayers had been taken from psalms, they were sung, not read. Second: perceive every word, not only understanding the idea conscientiously, but involving the appropriate emotion. Third: to curb your wish to read quickly, make it a rule for yourself that praying is not just reading this or that number of prayers, but giving some definite time to a prayer, say, a quarter or half of an hour...for as long as you are accustomed to pray. Do not worry about the number of prayers, but when the set time is up and you do not want to go on praying, just stop there. Fifth: in order to help the movement of prayerful feelings, reread and ponder over all the prayers of your prayer rule in your spare time with due feelings so that when you are praying you would know beforehand what feeling should be born in your heart. Sixth: never read all the prayers one after another, but always intersperse them with your own prayers and bows. When you feel something suddenly coming into your heart you should stop your prayer and make bows. This last rule is the most important and necessary for bring up the prayerful spirit... If you are overcome by some very strong feeling, retain it and make bows to the end of the set time without reading prayers. Pray not only in the morning and evening, but if you have chance — at any time of the day, bowing several times. When you are too busy to fulfill your prayer rule, make it shorter, but do not pray hastily. God is everywhere. After getting up in the morning give thanks to Him and ask Him to bless the work of your coming day in your own words, then make some bows and that is enough! Never turn to God nonchalantly, but always with great reverence. He does not need either our bows or long prayers... A short, but strong cry of your heart —that is what reaches Him! And you are always able to do that. You can compile your own prayer rule, too. Memorize the prayers printed in prayer books and read them by heart with understanding and feeling. While doing it insert your own prayer. The less you would depend on the book, the better. Learn some psalms and when you are going somewhere or doing something while your head is not occupied with it, read them... That is your conversation with God. The prayer rule is a guidance, not something to fulfill with an obedience of a slave. You should by all means avoid mechanical and formal reading. It should always be the result of thoughtful free-will decision, performed with conscience and feeling, not neglectfully. You should be able to shorten you pray rule when necessary. Family life is full of such instances. For instance, in the morning and in the evening you can read the memorized due prayers. You can even omit some of them. Or you can even skip reading prayers at all, just making several bows with a prayer coming truly from your heart. You should be the master of your prayer rule, not its slave. It is to God only that we are servants, the ones who must devote every minute of their lives to Him. The prayer rule is a safety shell of a prayer. A prayer is an internal matter, while the rule is just an external thing. But like a person without a body is incomplete, so is a prayer without a prayer rule. We have to have both and fulfill it as much we can. The indispensable law: to pray within yourself always and everywhere. Reading a prayer though cannot be done without allocating a definite time, place and measure to it. It is a combination of those three elements that makes up the prayer rule. So one must be guided by reason while deciding when, where and how long one should stand praying as well as what prayers to say. One can choose that according to one’s circumstance: whether one can spend more time for prayer, reduce it or postpone the time and change the place of praying... The main effort should be directed to the properly said internal prayer. It is the internal prayer that must be said incessantly. What does an incessant prayer mean? To be constantly in the prayerful spirit means to turn one’s thoughts and feelings to God. Thinking of God means keeping always in mind His omnipresence, omnipotence and ability to see everything. Feelings towards God are fear of God, love for Him, ardent wish to please Him only and to avoid all that displeases Him. The main thing is to commend oneself obediently to His will and to accept everything that happens to us as something sent directly by Him. One can have that feeling to God at any time, doing anything and under any circumstances, if that feeling is still not being sought, but had already been established in one’s heart. Our thought can be distracted to various subjects, but even in that one can attain a skill to stick to God while doing something else and feel the presence of God. One must be totally concerned with those two things: thoughts and feelings to God. When they are there, there is a prayer even though without words. The morning saying of prayers was established exactly for setting our mind and heart on those two things, so that later in the day we could take up our work with these. If in the morning your soul is filled with these, then your praying was successful, even though you have not read all the written prayers. Supposing you started your daily work that way in the morning. The very first things you begin doing would distract you from God. What is to be done then? You have to refresh your thoughts and feelings to God through your internal appeals to Him. And for that you must get accustomed to your little short prayer and to repeat it as often as possible. Any short prayer leads to that. The best prayer of all is: "Lord Jesus Christ, Son of God, have mercy on me!" You have to get used to it and never quit saying it. When set in you, that prayer will become the driving force and appeal to God with your thought and feeling. This is all the schedule of your praying business. Beginners should first of all learn how to pray appropriately according to written prayers, so that they would memorize thoughts, feelings and prayer phrases. It is important because the words with which we turn to God must be good and beautiful. When the beginner succeeds in that, he can start both with established and his own prayers. Examples of short prayers are provided in the 24 little prayers of the venerable John Chrysostom at the end of the evening prayers. You can also choose other short prayer from psalms, church prayers and even compile them yourself. The prayer of John Chrysostom. A Prayer given by God. What else can be said about a prayer? — There is a prayer made by man, and there is a prayer granted by God to a praying man. Who did not know the former? You should know the latter too at least in its initial form. In the beginning when a man is turning to God his first duty is a prayer. He begins to go to church and at home he reads prayers by the book and by heart. But his thoughts get distracted and he cannot control them. And yet, the more he works on his prayers, the more balanced his thoughts are and his prayer becomes clearer. And yet, the atmosphere of a soul will not be cleansed until it is ignited with a small light of spirituality. That light is a token of God’s grace, but it is granted to all, not only to the chosen. That light appears as a result of a certain state of purity in the whole moral system of a seeking person. When that light is started, and the heart harbors constant warmth, it stops the turmoil of thoughts. The soul experiences what happened to the woman with a flow of blood: "...and immediately her bleeding stopped" (Luke 8:44). In that state a prayer turns more or less into a ceaseless prayer. The prayer of Jesus serves as a mediator to that ceaseless prayer. And that is a borderline to which a prayer made by the person himself can go. The next stage of that state is a prayer overcoming a person, and not created by him. The prayerful spirit captivates a person and carries him along into his heart, as if somebody would take him by his hand and make him go from one room to another. The soul is bound there by some external force and stays willingly inside while it is overcome by the Spirit that captivated it. I know two degrees of that captivation. In the first one the soul can see everything, it perceives itself and its external position consciously, it can reason and control itself and even destroy that state, if it wishes. Holy Fathers, especially St. Isaac of Syria, described also another stage of the prayer given from above or overcoming a person. At that stage the soul is also overcome by the prayerful spirit, but it is carried to such a contemplative spheres that it forgets its external position, it does not have the power to reason, control or destroy that state, but only to reflect. Such a state is mentioned in the "Otechnik" where a case is described of a person who began praying before dinner and came to himself only in the morning. This is exactly what we call a prayer in rapture, or a reflective/contemplative prayer. In such a state some people would be surrounded by light or their faces would be lighted, some would be lifted from the ground. Holy Apostle Paul was taken into heavens in that state. Clarification of some difficult points. You wrote, "My praying by the book degraded." — This is not a loss: even if you never pick up the prayer book again. A prayer book is something like a phrase book of French for instance. You memorize dialogues until you can fluently express yourself, and after learning to speak you forget those phrases. In the same manner we need a prayer book until the time when the soul itself begins to pray, after which we can lay the prayer book aside. Although when your own prayer is not going out freely, it would be good to stir it up with praying by the book. You should be afraid of fascination. It happens to those who gets proud thinking that since they feel the warmth in their hearts, it means they achieved the utmost perfection. But this is just the beginning and an unstable beginning it is, as the warmth and the appeasement of the heart can also be of natural origin as the result of the heartfelt mindfulness. But one must work and work, wait and wait until the natural is replaced with the granted through God’s grace. One should never consider oneself to have achieved something, but we must see ourselves as poor, naked blind and good for nothing. You complain of your prayer being meager. — But you can pray not only standing in front of icons, since any ascension of your mind and heart to God is a true prayer. And if you do that while doing something else, it means you are praying. Holy Basil the Great treats the issue of the Apostles’ being in their unceasing prayer the following way: no matter what they were doing, they were thinking about God and living in permanent devotion to Him. That state of their spirituality was in fact their unceasing prayer. Here is an example. As I have earlier written to you, different demands are put forward to working people and to those who stay idly at home. The main concern of busy people is not to allow wrong feelings while they are doing their job and to try to devote all their feelings to God. This devotion will then turn into a prayer. We read that Abel’s blood cries out to God. In the same way everything we, in devotion to God, cries out to Him. When somebody sent a dish of food to an elder, he said, "It smells so bad!." The food though was very good and fresh. They asked him, "How come?." He explained that it was not sent by a good person and was not sent with good feelings. The people whose feelings are refined feel it. So it appears that like a good smell comes forth from good flowers, so do good things done with a good disposition issue aroma, which rises like incense during church services. You are writing about a spiritual dullness of senses in prayer. — That is a great loss! Give yourself the trouble of waking your feelings up. Our chores excuse only shorter time allocated for the prayer, not impoverishment of the internal prayer — the latter is unpardonable. You can please God with little, but that little should come from your heart. Lift up your mind to Him and say with repentance, "O Lord, have mercy on me! O Lord, bless me! O Lord, help me!" — this is a prayerful cry. And if the feeling to God is revived and established in your heart, then that will be an unceasing prayer without words and without standing and reading prayers in front of the icons. Is your conscience worried because of saying prayers in haste? — That is fair! Why do you listen to the Enemy? It is him who spurs you up: "Make haste, hurry up..." That is why you do not feel any fruitfulness of your prayer. Make it rule for yourself to take your time and to say every word of the prayer with understanding and if possible, with feeling. Assume this task as resolutely as a commander-in-chief who would not stand any objection. The Enemy would suggest: you need to do this and that, and you should just say to yourself, "I know it without your enticing, off with you...." And then you will see how successful your praying will be. Otherwise you have only the prayer rule, but not the prayer itself. It is only a prayer, which nourishes your soul. You should check by the clock the length of time devoted to the prayer said slowly and you will see that you spent only several minutes. While a hasty prayer brings a lot of harm. When suddenly a bad thought occurs to you — it is an arrow shot by the Enemy. He shoots it trying to distract you from the prayer and to occupy your mind with some worldly things. If you start concentrating on that thought, the Enemy will begin contriving various stories in your mind so that to smear your soul and to incite in a person some bad passionate feelings. That is why there one ruling guide here: cast that thought away quickly and return your attention to the prayer. Do all our prayers reach God? — A prayer is never wasted regardless of whether the Lord grants us what we are asking or not. Because of our ignorance we are often asking for something that would bring us harm, not benefit. Not fulfilling that plea the Lord would grant us something else for our work of prayer, and He would do it inconspicuously. That is why there is no sense in a phrase like, "You are praying to God, but what did you get for it?." A praying person is asking God for a certain thing. If God knows that the fulfillment of the supplication would eventually be to the detriment of the person, He does not grant the wish and thus does us good; for if He had fulfilled that supplication, it would have done much harm to that person. Beware of snares among which you are walking in this deceitful world! From the immemorially ancient times ardent Christians repeated short invocations to God so that could be incessantly praying and driving away idle wandering thoughts. Those were various prayers. Saint Kassian said that in Egypt all Christians say, "O God, help me, O Lord, grant me your help." St. Ioannikii repeated constantly, "My hope is the Father, my refuge is the Son, my shelter is the Holy Spirit; O Holy Trinity, glory to Thee." Somebody else said, "I sinned as a man, but as a bountiful God, have mercy on me." There were surely some other similar short prayers. With time the Jesus prayer got established and became widely used by everyone, "Lord Jesus Christ, Son of God, have mercy on me a sinner." The aim of this prayer is the same as of the others: to keep one’s mind turned to God. At the same time one has to remember that saying the Jesus prayer is just a tool or work showing a strong desire to find the Lord. Everyone will benefit from saying the Jesus prayer. Those in the monastic orders must repeat it all the time. So there is no danger in the prayer itself, if one says it reverently. Yet, what is dangerous is the "artistry" (i.e. some artificial tricks) invented to accompany that prayer. For example, while saying the Jesus prayer some people put their hand on the table and concentrate their attention under the fingers — it is an inconsistent oddity. Or here is another whim: to strike the finger of your right hand against the palm of left one and thus try to concentrate the mind on the prayer. The first person to write about the "artistic" performance of the Jesus prayer was Gregory of Sinai in the 13th century... It was those tricks that plunged some people into a dreamy state of enchantment, while others strange as it sounds — into a constant lustful state. That is why those tricks should be disapproved and condemned resolutely. And we must urge everybody and teach everyone to hail the sweetest name of the Lord in a simple heartfelt way. The essence of a prayer is easy to explain. Make your heart and mind stand up in front of the Lord and appeal to Him, "Lord Jesus Christ, Son of God, have mercy on me a sinner." That will be your prayer work. The Lord will see who prays devotedly and will grant the praying person a spiritual prayer according to his zeal. That spiritual prayer is in fact the fruit of the grace of the Holy Spirit. This is all we must say about the Jesus prayer. All the rest that was invented, has nothing to do with it: it is the Enemy that is trying to distract us from the prayer. So, the essence of the prayer consists in attentively addressing God and appealing to Him with a warm heartfelt feeling —whether you are expressing your gratitude, repentance or something else in your prayer. If there is no such feeling, then there is no real prayer. In order to learn praying, pray more often and with more zeal and you will learn it: you would not need anything else. If you work hard and patiently, you will acquire the skill of unceasing prayer with time. Make it your goal — to seek and do seek. The Lord is close to you. Keep God always in your mind and always try to see the Lord before you and to venerate Him. When interfering thoughts come to your mind during praying — drive them away, if they persist — banish them again...and be that way in everything. This is a deed of sobriety. Exert yourself to keep your heart in a religious spirit. When your heart is overcome with a feeling, vain thoughts do not bother it. We began writing with the effort to write and the wish to do the work properly. In the same way we have to learn praying through effort and persistence. A prayer will not come by itself, you have to learn it like rubbing your soul would warm it up. When the warmth comes, your thoughts would calm down, and your prayer will become cleansed. Everything comes through God’s grace. That is why we have to pray to the Lord for Him to grant us the prayer. As far as the praying rule is concerned, you can choose any of them as long as you are keeping your soul in reverence to God. It would be good to get used to appeal to God with short prayers during the day. The main prayer out of all of them is the Jesus prayer, "Lord Jesus Christ, Son of God, have mercy on me a sinner." Learn 24 prayers of John Chrysostom and pray to God with them. Using short prayers concentrates your attention and reviews all your spiritual needs. Do not forget that the strength of the prayer is the "contrite spirit," that is the state when your heart is filled with repentance and humbleness. Commend yourselves into the hands of God and He would never leave you. While praying you should not try to visualize God or Theotokos, or the saints, or angels, or any other visions, but just pray being sure that God and the saints hear your prayer. How can they hear it? — What use in discussing that? They just hear it — that’s all. If you start creating various images in your mind, there appears the danger of praying to some fantasy. How can we visualize something that we have never seen? And also the state in which the saints find themselves in that other world is so different from anything familiar to us that all our visualizations are doomed to turn out fraudulent and false. That is why we should get accustomed to saying a prayer without creating any images in our minds. +Father Archimandrite Gregory, who asks for your holy prayers!